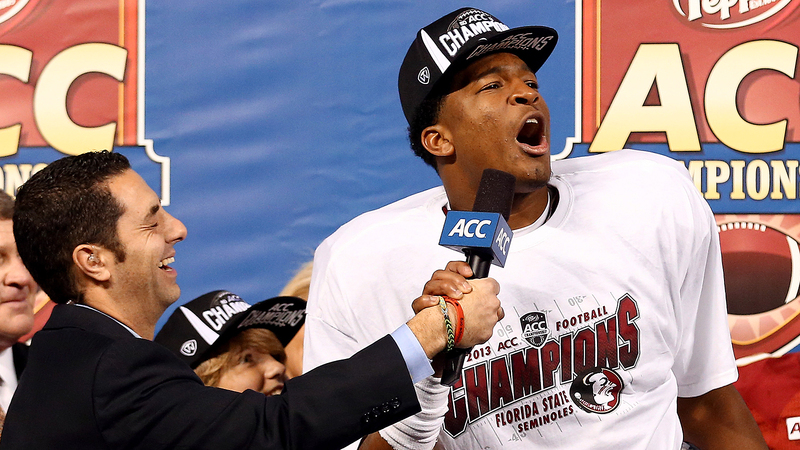 Jameis Winston plays for Florida State. Florida State will play Auburn in the BCS title game next month. This is all stuff that we already knew, of course. What we didn’t know? Winston’s mother is … an Auburn fan? Winston, who starred at Hueytown High near Birmingham, Ala., is looking forward to it for personal reasons. "I’m ready for it," Winston said. "My mom’s an Auburn fan, so she’s going to be talking that smack. Hopefully she’ll be wearing garnet and gold instead of orange and blue to the game. And it’s my birthday (on Jan. 6). They have some great players, and I don’t want them to ruin my birthday." Your own mother talking smack to you? That has to be rough.